Hideaway Hills is a charming community neighborhood near downtown Branson. With a wide variety of sizes and styles of homes so close into town, inventory in this neighborhood rarely stays on the market long. Located within the Branson School District, as well as local attractions such as the famous 76 Strip, downtown Branson Landing, and Lake Taneycomo, Hideaway Hills is an ideal location. Homes in this neighborhood community feature the latest amenities, including hardwood floors, granite counter tops, modern appliances, and covered porches. All utilities are public including city water, sewer, underground electric, and cable. Access to Table Rock Lake and Mark Twain National Forest also attracts many residents, many of which are growing families since most homes have 3-5 bedrooms available. 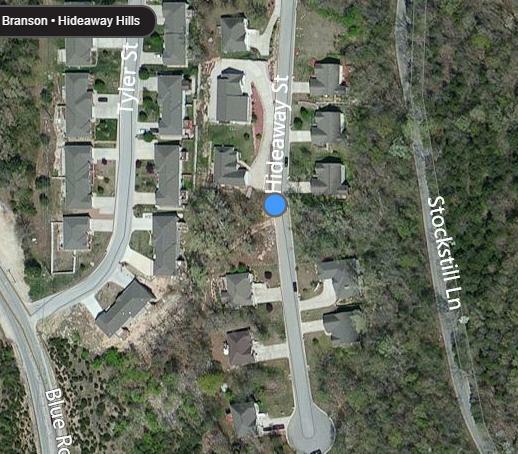 Sometimes there are Hideaway Hills vacant lots for sale if you're looking to build a new construction home. Want a copy of the neighborhood property restrictions? My name is Charlie Gerken and I'd like to show you everything available at Hideaway Hills in Branson, Missouri. Please contact me today for a showing of this hidden treasure location.